Migos is one of the hottest groups right now, but there are fears that a break-up might be on the way after Quavo confirmed that he has a solo project coming up. 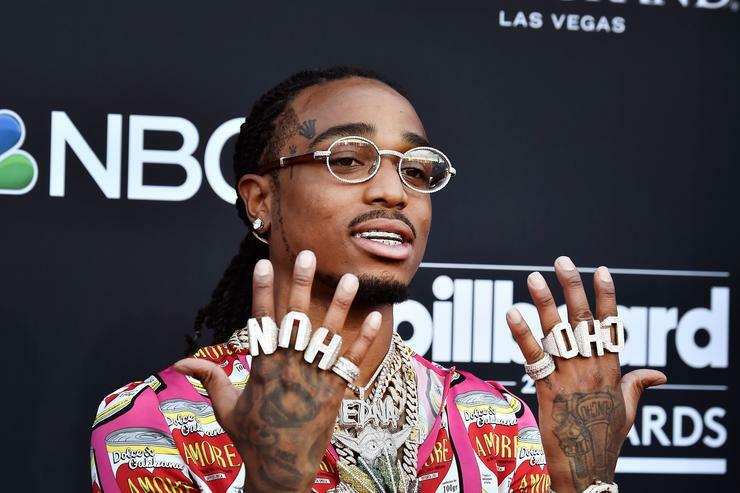 Speaking while in New York, Quavo told Power 105.1’s Angie Martinez in an interview that he had an upcoming project and he gave a few details about it. He also said that it didn’t mean he was leaving the group and even said that both Offset and Takeoff have some solo projects of their own that they want to undertake. It could be the preclude to a breakup, on the other hand, it might simply be an artiste looking at other creative ways to express himself. Meanwhile, Quavo also reacted to his name being mentioned on Nicki Minaj’s ‘Barbie Dreams’ track. Nicki Minaj was quick to point out that the track was not a diss track but rather poking a bit of fun with rappers with whom she was friends with.